The gooeyness level of these brownies is pretty killer, huh? You're probably ready to break out your fat pants. But hey hey hey! Don't be so hasty. You don't...necessarily...need those. These aren't...that...bad! Now, I'm Italian. I adore olive oil. Once, my freshman year of high school (before my first high school dance, in fact) I was challenged to an Italian-off:whoever drank the most straight olive oil won. But...you know...olive oil tends to stay on the savory side of my life. I've heard of like..olive oil ice cream. And I've been intrigued by it. But...just hadn't happened. 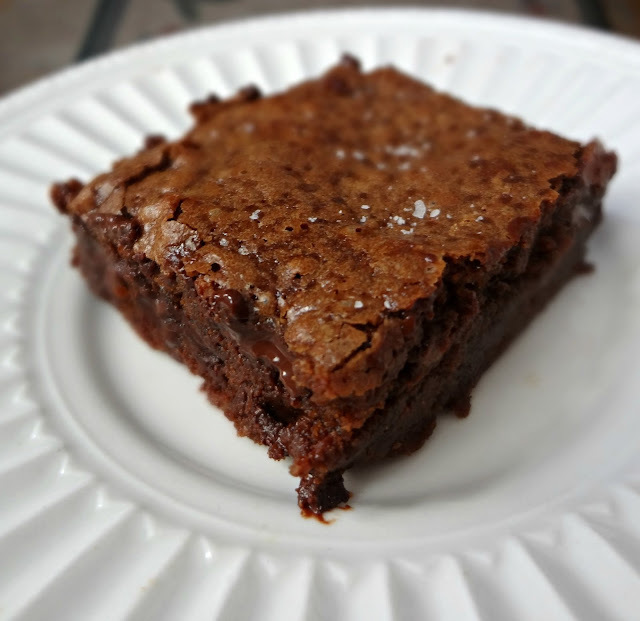 And then I met a chocolatey brownie recipe that I just couldn't say no to. So. I made em. 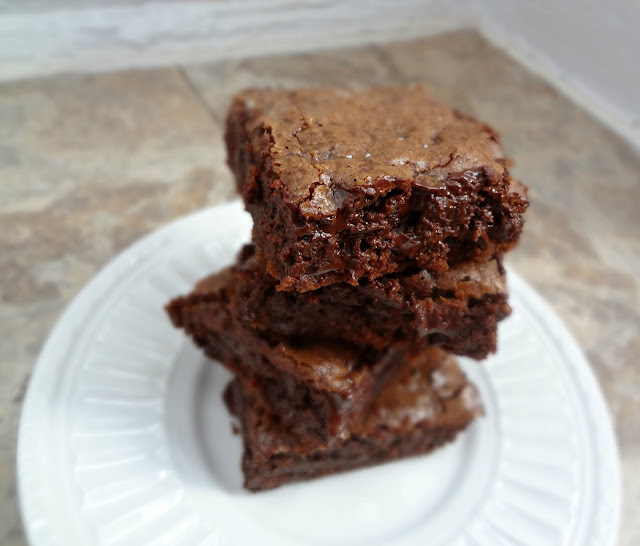 And they were gooey, so full of chocolate, and very yummy. I could tell there was olive oil in them. It wasn't unpleasant it was just like "I wish they tasted like this instead". That said-the flavor was far less noticeable leftover. And again-they were pretty darn tasty, regardless. And less bad for you. Which is always a plus. And I'm pretty sure Michael never knew these had olive oil in 'em. What can I say? It never came up. 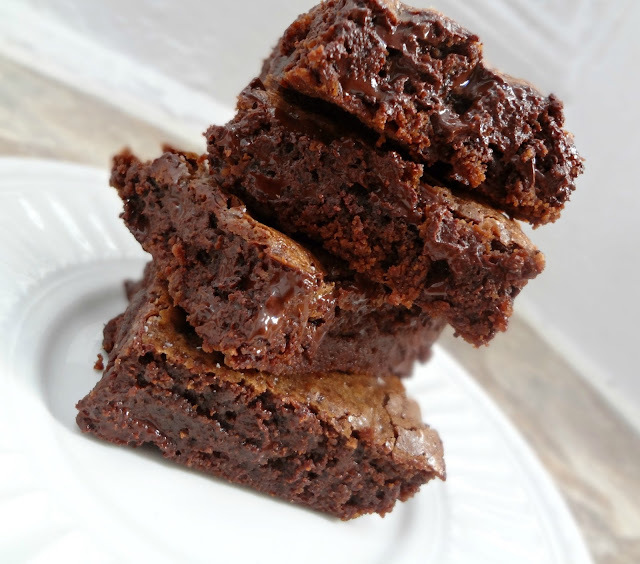 Oh and also...throw some salt on top of these brownies. 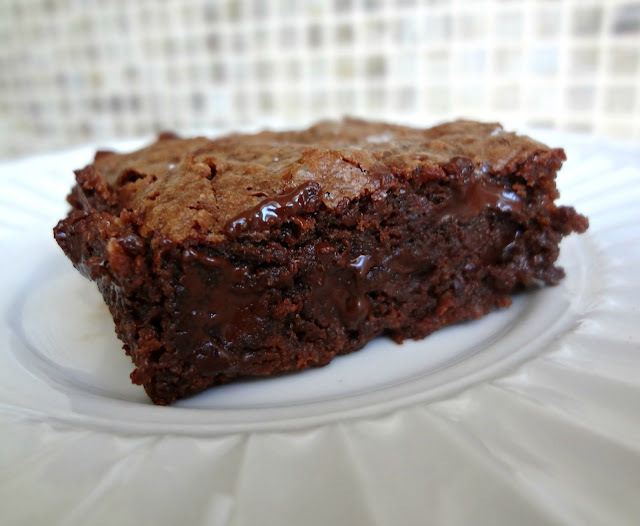 Adapted from cookies and cups "Double Fudge Olive Oil Brownies"
Preheat oven to 350 degrees. Line an 8x8" pan with aluminum foil and lightly spray with non-stick cooking spray. 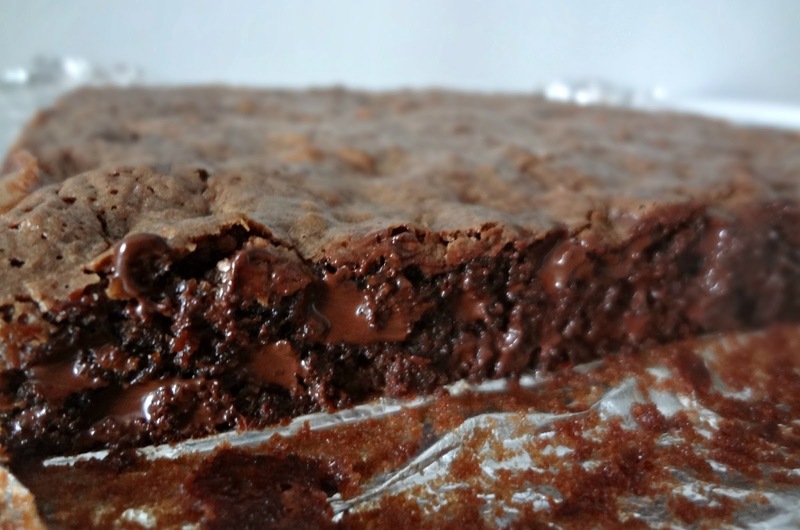 In a large bowl combine melted chocolate with olive oil. 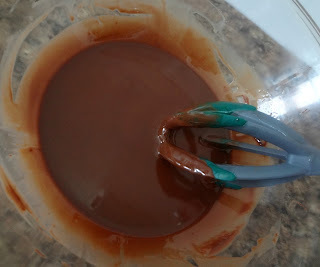 Whisk eggs, sugars, and vanilla into the chocolate mixture. Stir in flour and salt until fully combined. Bake 25 minutes, or until a toothpick inserted 1 in. from the edge comes out clean.